If you fancy a quiet night in on the sofa then stop reading now because this will definitely not interest you one little bit. For visitors and locals alike we have drawn together a list of what’s on and where. 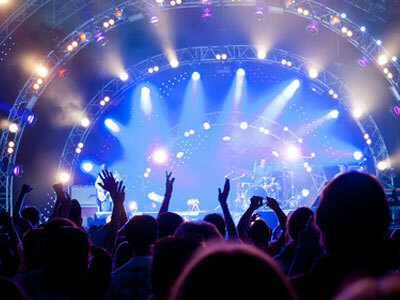 Your personal entertainment guide will give you all the details on some of the best venues In the area to suit your individual taste and requirements. Our chocolate box of idea’s will be all you need to plan your perfect night out. Our guide offers you details on where to find the best live DJ’s, live bands, gig listings, best nights and events in clubs, book readings and open mic and much much more. You will be able to find out what films are showing at the cinema and receive details on all the best productions that are being performed, the best comedy shows and top tips on just where the diverse and exciting places can be found throughout the region. Check out the clubs with the hottest resident mixers, those who regularly have special club nights and guest appearances, or those who keep it loud and late for the techno crowd. If you prefer a night with the blues or want to jazz things up a bit there will be listings ideal for you too. There are even a few venues willing to make stars of you for the night if karaoke is your thing! If you’re looking to gamble the night away you will find where the top casino’s are and just what they have on offer, it’s time to enjoy what the City has to offer. The cultural experiences, the glitz and glamour, everything that you need for an amazing remember able night out is right here so be sure to plan in advance so you know exactly where the best places to be are, don’t miss out!